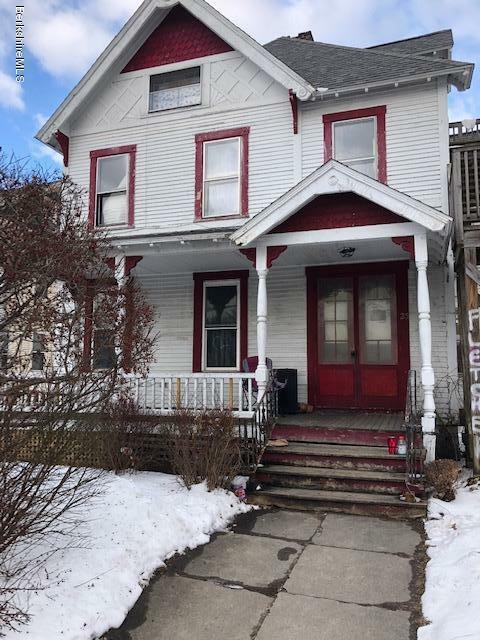 Berkshire County is comprised of two cities (Pittsfield is the seat of the county, North Adams is our fair city to the North) and thirty towns in an area of 605,437 acres or 946 square miles. Each city elects a mayor and city council for local governing and each town elects a Board of Selectmen. Each town is unique and full of character, with assets all their own. Here we profile our 32 wonderful Berkshire County cities and towns. Click the hyper-linked city/town name for more information and a property search. Often described as a “former mill town”, Adams is a lovely example of small town America. The birthplace of Susan B. Anthony, and named after Samuel Adams, a strong heritage of independence and pride in community prevails. From streets lined with period lighting and buildings of interesting architecture, to yearly festivals and community events, Adams offers residents and visitors a delightful setting and varied activities. Majestic views of Mt. Greylock can be seen throughout the town. In downtown Adams, you’ll find easy access to the Ashuwillticook Rail Trail, restaurants, and shops. Alford is very rural, quiet and at 11.58 sq miles the smallest town in Berkshire County. On the western border of the county, it boasts beautiful vistas, hills and valleys, and historic buildings in its center. Year-round and vacation home owners head to Great Barrington for shops, restaurants and services. The Green River is the major recreational water. Becket has wonderful lake communities and many seasonal vacation homes. The town is beloved by fishermen and the West Branch of the Westfield River, which forms part of the northern boundary of Becket, was known for the brook, brown and rainbow trout stocked there. Becket is also home to Jacob’s Pillow Dance Festival, Becket Arts Center of the Hilltowns and the Kushi Institute. In Becket you will find many summer youth camps and delightful names, such as Sherwood Forest, Robin Hood Lake and many others. 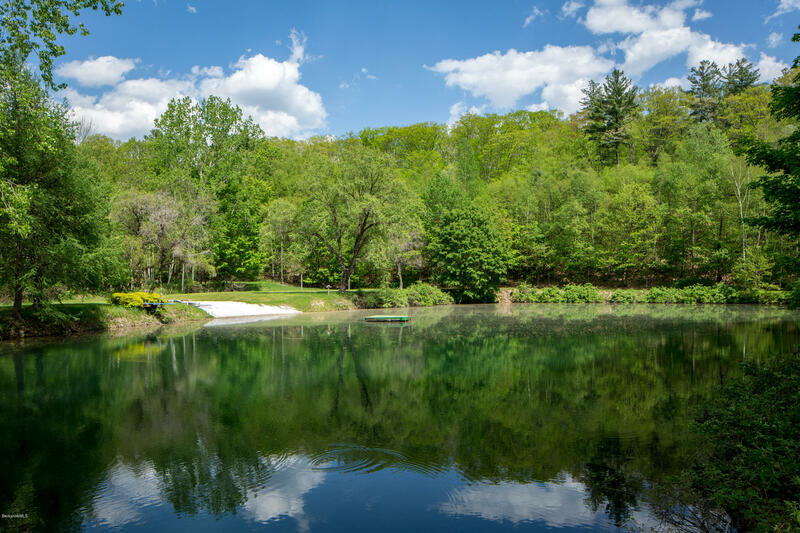 It is the only town in Berkshire County that can boast of having its own Harbor Master, overseeing the many lakes and ponds. Many have passed through Cheshire on their travels of the Appalachian Trail, but people from all walks of life are proud to call this lovely town home, where friendly people are abundant. Once known for glass making, now residents take great pride in the open space and lovely views of the mountain ranges to the east and west. The downtown area is small but active, including the town hall, the post office and the elementary school. Shopping and employment opportunities are nearby. Visitors and residents take advantage of the proximity of the Ashuwillticook Rail Trail and the beautiful Cheshire Reservoir for recreation. A suburb of North Adams, Clarksburg is a quiet rural town bordering the state of Vermont. 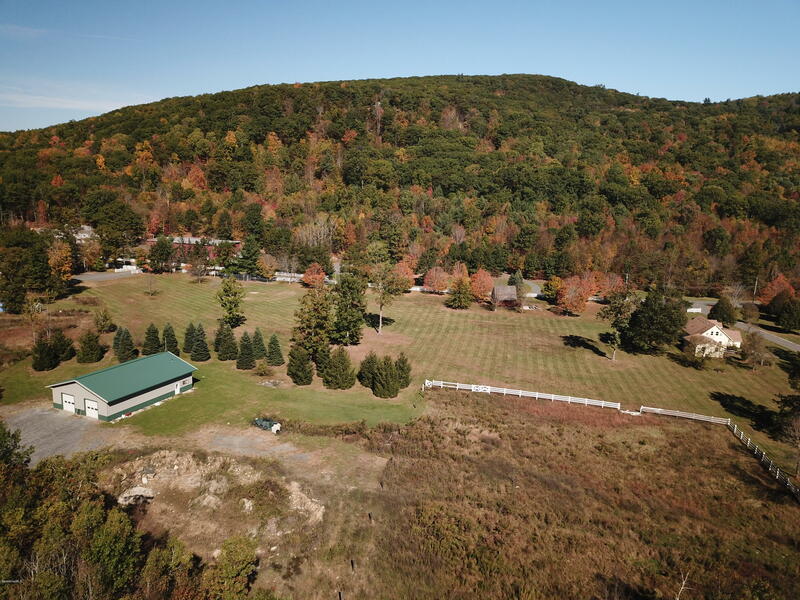 Clarksburg boasts nine brooks and streams, the Clarksburg Reservoir and a 49 acre State Park. 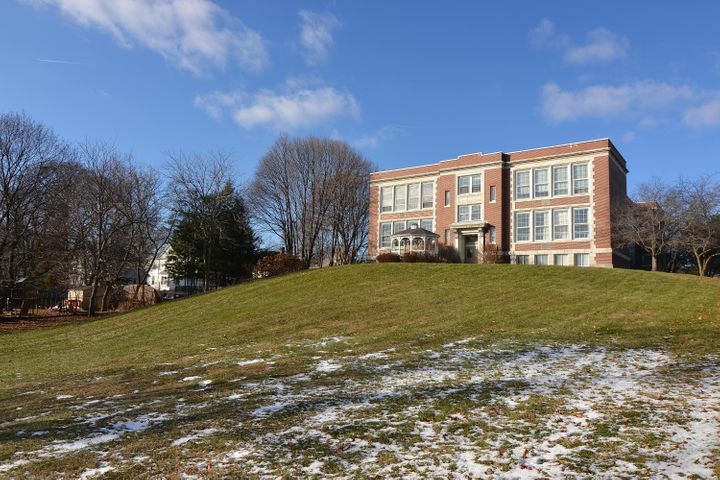 The town combines all of the benefits of rural living in an area full of scenic landscapes, with an excellent elementary school (K-8), sufficient land available for development and direct access to the urban amenities of North Adams. Dalton is a scenic town nestled in the center of Berkshire County. The residents are very community oriented and the streets are dotted with schools, churches and athletic fields. Dalton is also the home of Crane & Company, which has manufactured currency paper for the U.S. Treasury Department for more than 120 years. The Appalachian Trail, which runs through the town, brings in hikers to enjoy the community. The villages of North Egremont and South Egremont, the latter on the National Register of Historic Places, comprise the Town of Egremont that borders New York State. 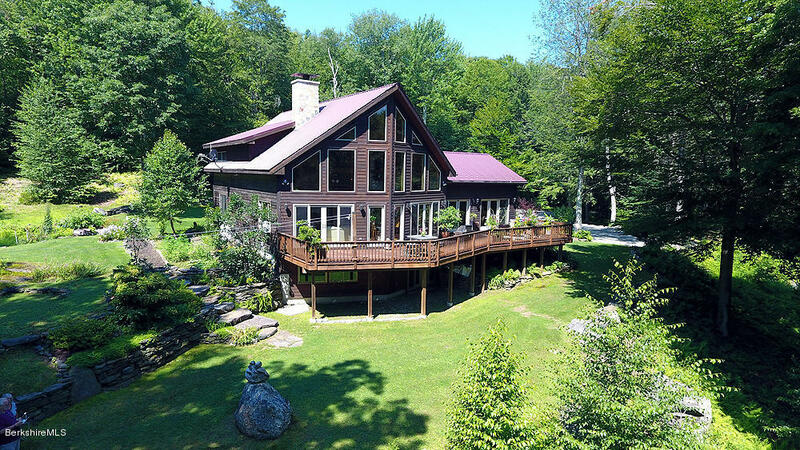 Its rural settings, beautiful hillside views, popular restaurants, small shops, Catamount ski resort and a town park are attractions for the year-round and vacation home owners. Recreational waters include the 57 acre Prospect Lake and the Green River. Florida is located on the outskirts of North Adams and the northeast corner of Berkshire County. Located on Rt. 2, it sits on the Mohawk Trail renowned for its hairpin turn and magnificent vistas. It is a quiet, rural town and home of an 18 acre state park. Most of the 4.75 mile long Hoosac Tunnel is in Florida. Despite its warm weather name, Florida is one of the snowiest areas of the county due to its elevation on the top of the Green Mountain range. 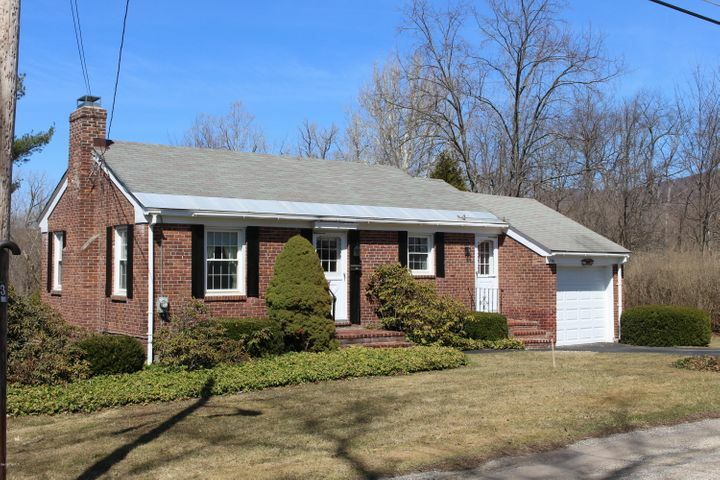 Recreational waters include 18 acre North Pond. South County’s strong second home market plays an important role in Great Barrington’s healthy downtown economy, boasting many restaurants from haute cuisine to pub grub, a popular triplex cinema, the restored historic Mahaiwe Theatre, and yet it retains its small town charm. 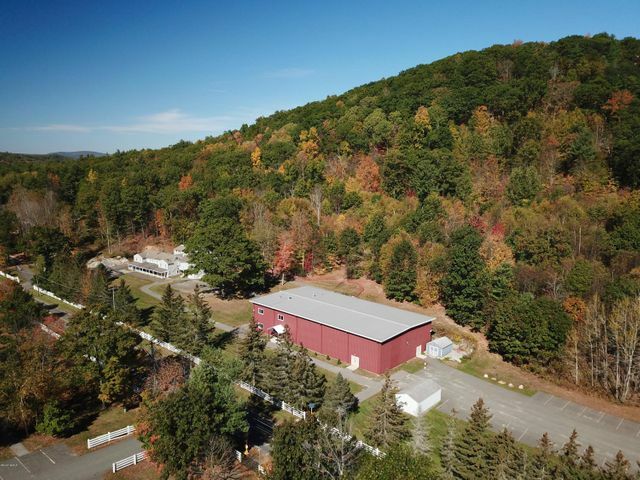 Butternut Ski Basin is at the eastern edge of town; recreational waters include 35 acre Mansfield Pond, 35 acre Benedict Pond, 113 acre Long Pond, and the Williams River. The longest and narrowest town in the county, Hancock sits in a rural setting tucked between the Berkshire Hills and Taconic Range. It is home to the famed Jiminy Peak Ski Resort, the largest ski area in Massachusetts, and renowned Hancock Shaker Village that provides visitors with a living history of Shaker life, including demonstrations of crafts and farming and a tour of its magnificent round stone barn. 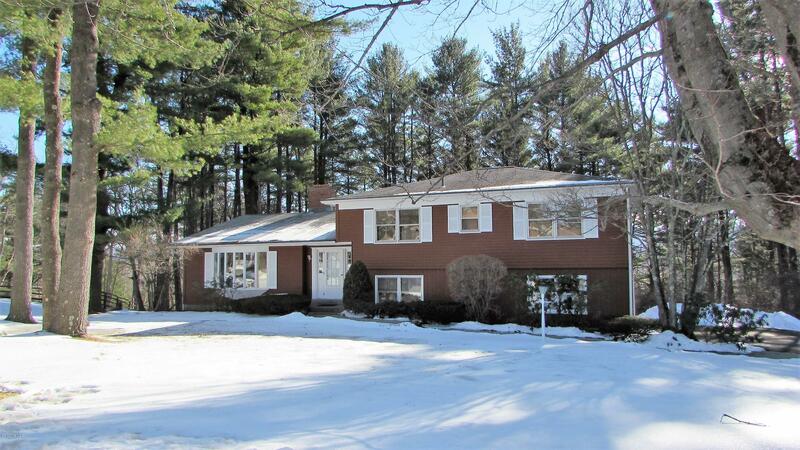 Beautiful scenery includes a large section of the Pittsfield State Forest and 500 acre Audubon wildlife sanctuary. Hinsdale, originally known for its woolen mills, has transformed through the years and is now a quaint New England town. It is home to many businesses and summer camps. Hinsdale’s two lakes, Ashmere and Plunkett Reservoir, provide recreational opportunities to residents. A section of the East Branch of the Housatonic River is located in Hinsdale, and 440 acres of the Appalachian Trail bisect the town. There are over 1500 acres of state-owned open space within the Town’s borders, and there are an influx of visitors during the summer months, enjoying the peaceful, wooded hills, lakes and fresh air. Originally known for its iron works and marble quarries, today it’s a quiet town with active commercial enterprises and home to the 90-store Berkshire Mall. It has frontage on 480 acre Pontoosuc Lake (shared with Pittsfield), roads leading to Mt. Greylock’s summit, the state’s highest peak, Jiminy Peak Ski Resort in Hancock and is the southern start of the Ashuwillticook Rail Trail. Henry Wheeler Shaw, whose penname was Josh Billings, was a native son. The town with the shortest name in the Commonwealth. Paper mills were the town’s major industries and a few remain; its famed marble was used to partially construct the US Capitol. Lee, “The Gateway to the Berkshires,” has increased its share of the Berkshires tourist industry by beautifying its downtown and welcoming the Lee Premium Outlet Village just off Exit 2 of the Mass Pike. 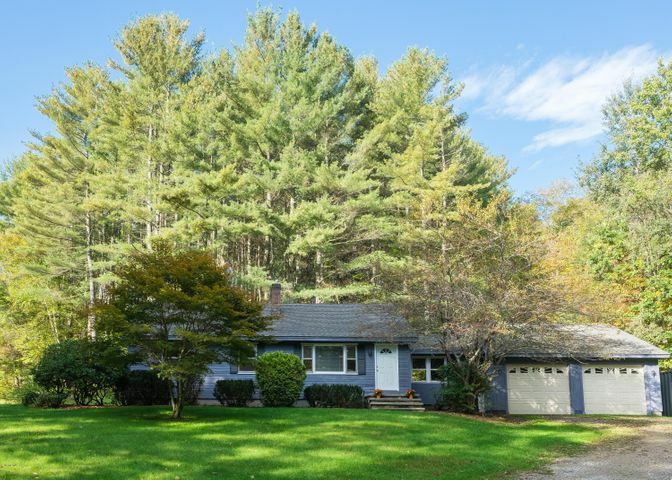 Recreational waters include 170 acre Laurel Lake (shared with Lenox), 225 acre Lower Goose Pond, 42 acre Upper Goose Pond (shared with Tyringham), 104 acre Woods Pond, and the Housatonic River. Known in the Gilded Era as the “Inland Newport” for its grand “cottages”, Lenox is both a gentle town and active community. Upwards of 15,000-20,000 people swell the population in the summer months taking in Tanglewood (summer home of the Boston Symphony Orchestra) or to partake in the world-renowned spas and resorts, interesting galleries and shops, upscale and ethnic restaurants, and elegant B&B’s. It is also the home of Shakespeare & Company theatre. Lenox is a popular choice of those relocating to the Berkshires because of the fine reputation of its schools and the active involvement of residents in the community. It shares 170 acre Laurel Lake with Lee. Once known for its factories and fur industry, the town transformed into a summer resort village before the Civil War. Rural and lakefront settings, the historic Bidwell House, artists’ galleries and the small town center are popular with summer visitors and seasonal homeowners. 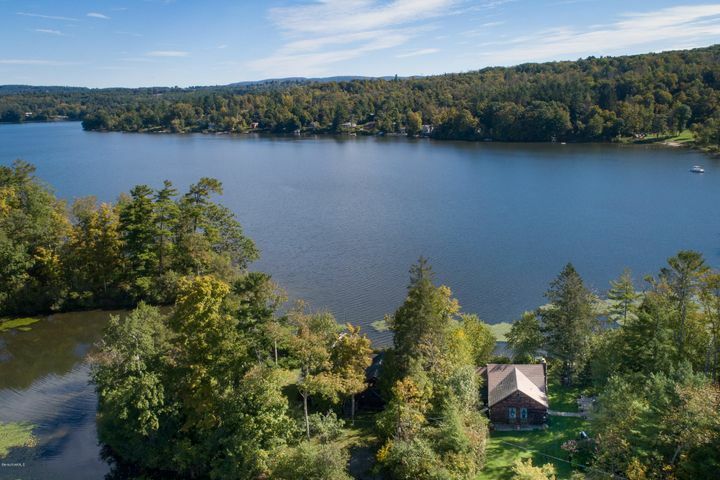 Recreational waters include 196 acre Lake Buel (shared with New Marlborough), 272 acre Lake Garfield, 30 acre Schweitzer Pond, and Benedict Pond in Beartown State Forest. The least populated town in Berkshire County and one of the smallest in the Commonwealth, its 22.34 sq. 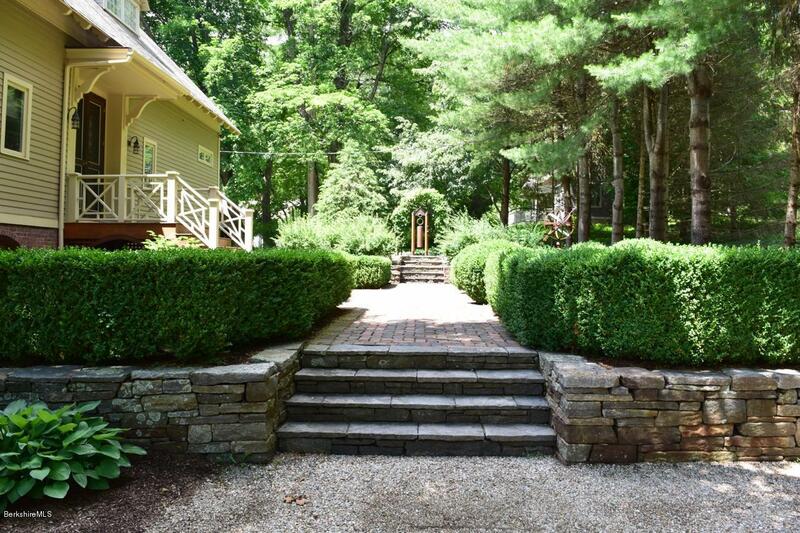 miles and undeveloped land provide home owners with privacy and natural beauty. Small, two-lane country and mountain roads wind through the valleys and hills. From Mt. Everett, view three states and the beauty of Bash Bish Falls. There are no commercial businesses or industries. Recreational waters include 61 acre Plantain Pond, 17 acre Guilder Pond. Tucked between Williamstown and Hancock, this small town was home to the old Brodie Mountain Ski Resort and for a few years was the United States’ first town to have its presidential votes recorded. Today, visitors and residents can enjoy fresh air, expansive views and spelunking in Red Bat Cave. Five separate villages with historic centers comprise the town. 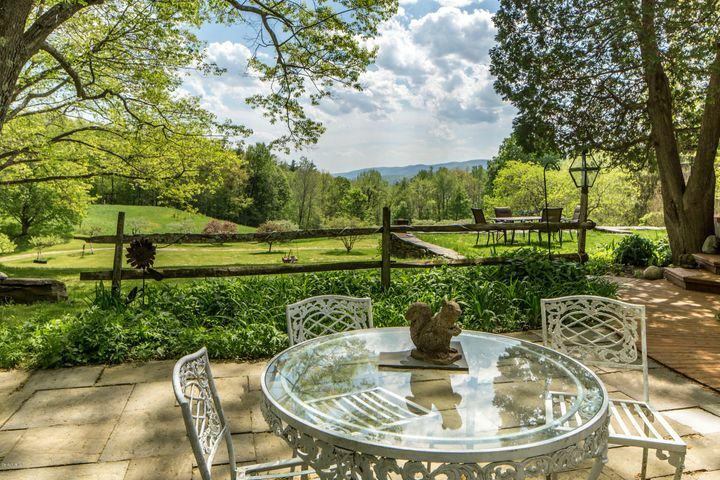 Still very rural, the town with its valleys and hills provides privacy, farms, authentic New England charm and is a favorite for summer residents. Recreational waters include 196 acre Lake Buel (shared with Monterey) and 100 acre Windemere Lake. Proud to be the smallest city in the commonwealth, North Adams is emerging from a declining mill town to a vibrant center for contemporary art. It is a unique haven for artists, with the presence of MASS MoCA, the (Massachusetts Museum of Contemporary Art), the Eclipse Mill and the Massachusetts College of Liberal Arts. Known as the city of Steeples for the spires of its many churches, you find lovely views descending into North Adams from Route 2 or traveling on narrow, twisting streets that climb steep hills throughout the city. North Adams is the western gateway to the famous Mohawk Trail and boasts breathtaking views of the Berkshire hills and Mount Greylock (the state’s tallest summit). Originally busy with lumbering, various mills and pig iron forge, today Otis is known as the town of lakes. It abounds with summer camps and lakeside cottages, large state forests and attracts outdoor enthusiasts. Home to the Otis Poultry Farm on Rt. 8 – eggs, eggs, eggs and other food and home items in their quaint store; other commercial businesses are sprinkled around the town center and on the outskirts. 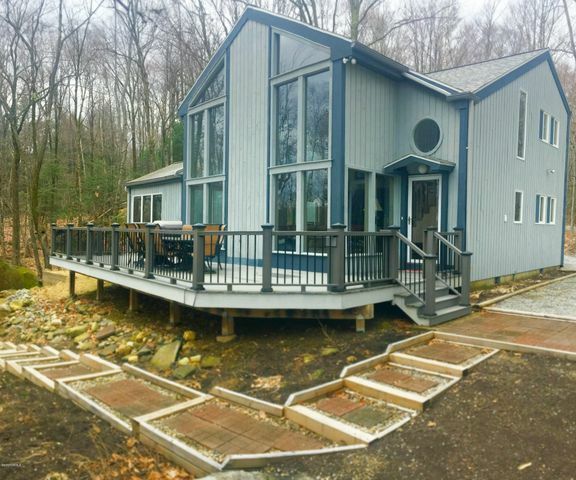 Recreational waters include 693 acre Otis Reservoir (shared with Tolland and Blandford), 331 acre Big Pond, 100 acre Shaw Pond (shared with Becket) and several others. Peru is a small, friendly, rural hilltown in central Berkshire County. More than half of the town is woodlands and much of this is owned by the Commonwealth. The town boasts the Dorothy Frances Rice Wildlife Sanctuary and Garnet Lake, which is the only lake in town and privately owned. The Garnet Mountain Monument was built in memory of 15 soldiers who were killed in a plane crash during World War II on Garnet Mountain. 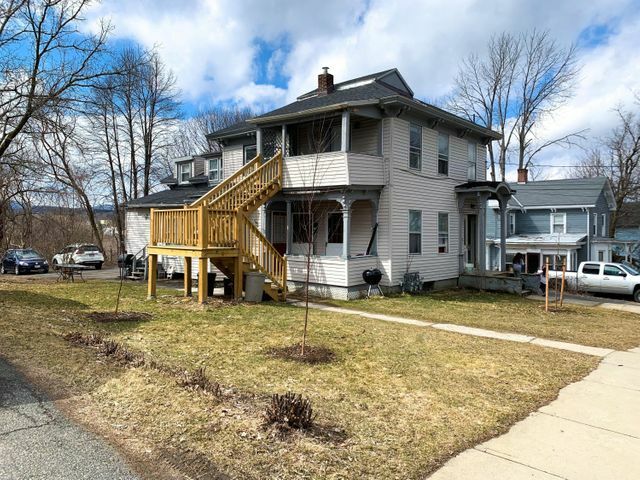 Peru is a community of small owner-operated businesses, zoned agricultural/residential and is a bedroom community for Dalton, Pittsfield, and Springfield. Berkshire County’s seat and largest city, Pittsfield is experiencing a renaissance through community development initiatives and expanding arts presence with the restoration of the historic Colonial Theatre. The Berkshire Museum, Barrington Stage Company, First Fridays Artswalk, and Third Thursdays add to the cultural identity of the city. The development of the William Stanley Industrial Park holds promise of new industry and employment opportunities. Pittsfield’s industrial base has earned it the epithet, “Plastics Technology Center of the Nation”. Home to two hospitals and major industry, there are diverse employment opportunities in Pittsfield. Recreational waters: 617 acre Onota Lake, 480 acre Pontoosuc Lake (shared with Lanesborough), 226 acre Richmond Pond (shared with Richmond) and the Housatonic River. In the 19th century, Richmond was primarily a farming town and the main industry was iron mining and smelting. Now a quiet town with tree-lined roads and rolling fields, the hub of activity is at the post office, one church and one consolidated school. Principally now a residential community with primary and secondary homes, it boasts beautiful views of farms and orchards. Recreational waters: 226 acre Richmond Pond (shared with Pittsfield) with a town beach and state boat ramp and streams and creeks wind their way throughout the town. A small rural community with two small industries – a nursing home and a metal products company. Population doubles in the summer with visitors and summer residents who appreciate its rural beauty, farms and state forests. Recreational waters include a 62 acre Lower Spectacle Pond, 55 acre Upper Spectacle Pond, 60 acre West Lake, and others. Once a busy industrial town with diverse businesses – steam sawmills, box manufacturers, tanneries and three hotels – Savoy today is home to large and beautiful state forests, magnificent mountain scenery and ponds – attractions for residents and visitors who love the great outdoors for its natural beauty and sporting activities. 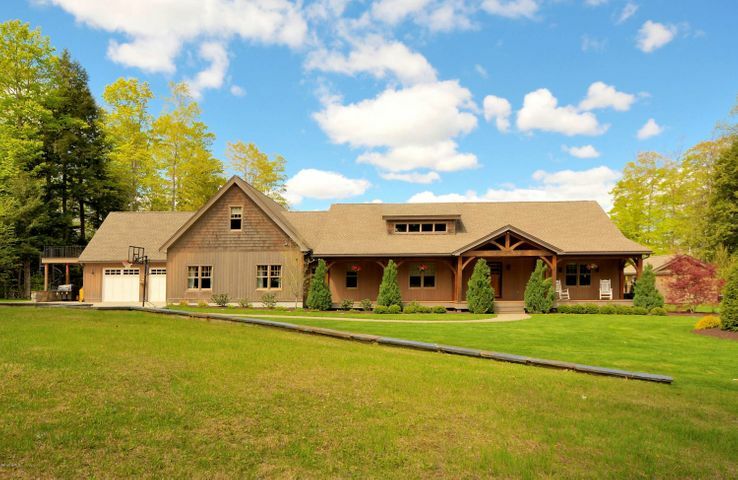 Recreational waters include 39 acre Bog Pond, 25 acre South Pond and others. Sheffield is the oldest incorporated town (1733) in Berkshire County and much of its land remains open. Route 7, the major north-south thoroughfare, is the antiques lover’s paradise replete with innumerable antiques and collectibles shops. South on Route 7A is the southern part of town – Ashley Falls. Recreational waters include: 168 acre Three Mile Pond, 107 acre Old Mill Pond. Famous for the renowned Red Lion Inn, its Main Street was immortalized in a painting by Norman Rockwell. 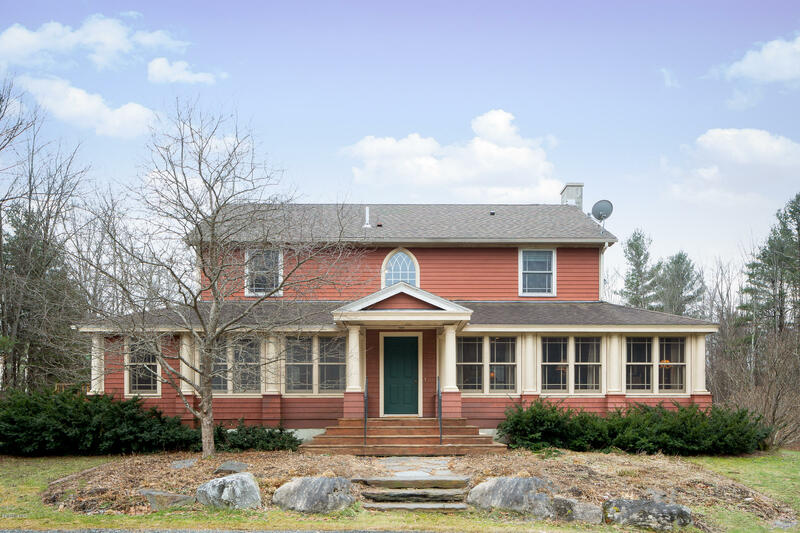 Home to the popular Norman Rockwell Museum, you can also view excellent productions at the Berkshire Theatre Festival or tour historic homes that are open for the public. Chesterwood, the home and studio of famed sculptor Daniel Chester French, is enjoyed by art lovers of all ages. Recreational waters include 372 acre Stockbridge Bowl (Lake MahKeeNac). A “Hinterland Settlement,” with a downtown consisting of a post office, a small library and a town hall, there are a couple of B&B’s, famed sculptor Henry Kitson’s unique art gallery, some farms and beautiful views from the hills. Hop Brook in Tyringham is considered by sportsmen to be one of the five best trout streams in the country and President Grover Cleveland, visiting friends with his wife at a summer home in Tyringham, fished Hop Brook. Recreational waters also include Goose Pond (shared with Lee). A beautiful mountainous town, almost entirely in the Green Mountain range in Berkshire County, offers many attractions including Bucksteep Manor, a nearly-400 acre attraction hosting small and large events with an English style lodge. Bucksteep Manor was built in 1890, turn of the century carriage house and barns with many activities to enjoy. Washington is also home to a portion of October Mountain State Forest, the largest State forest in the Commonwealth. Recreational waters include 103 acre Washington Mountain Lake, 110 acre Ashley Lake and 42 acre Farnham Reservoir. Its downtown revitalized in the 1980’s, it sparkles with brightly painted stores and galleries, several restaurants and markets. The town hills and valleys afford beautiful vistas for both seasonal and year-round residents. West Stockbridge is at Exit 1 of the Mass Turnpike. The West Stockbridge peaks range from 500 to 900 feet above sea level and its principal stream is the Williams River. Recreational waters include several ponds in addition to the Williams River. Because of its breathtaking views and scenic countryside, this unique community is known as “The Village Beautiful”. 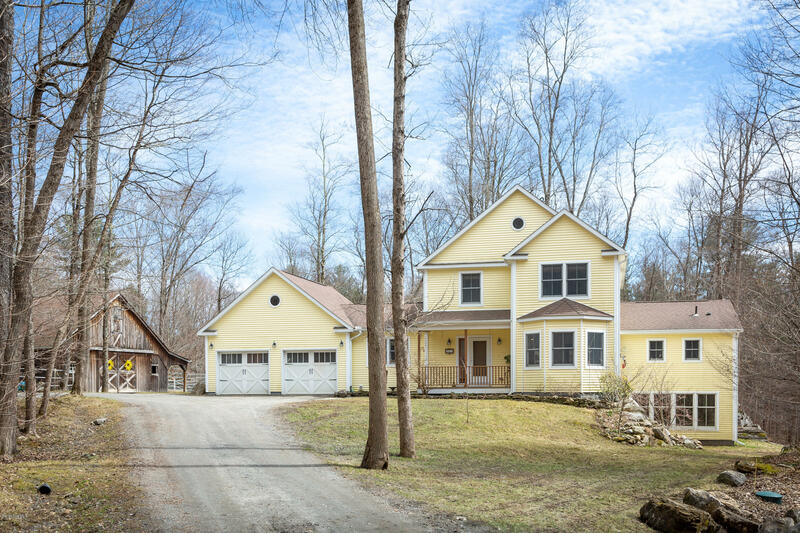 Nestled in the northwest corner of the state, bordering Vermont and New York, it is a residential community that is the home of Williams College, a highly selective liberal arts institution. Williamstown is also host to many celebrities during the summer season at the Williamstown Theater Festival and is the home of the Sterling and Clark Art Institute, housing one of the world’s largest collections of Renoir and other impressionists. A rural town with beautiful state forests and waterfalls, the 3,100 acre Notchview Reservation offers trails for cross country skiing and hiking. It is a residential town with a few small farms, a hilltop general store which has been owned by the same family for several generations, and a population which shares immense pride in its pristine beauty. At 2,031 feet, it’s the Berkshires’ second highest town center (Peru is highest). Recreational waters include 48 acre Windsor Pond.